Looking for a sophisticated winter jacket and a sporty ski jacket? Well, problem solved: the Sportalm Palia Insulated Ski Jacket is both; technically advanced enough for winter athletic wear, but styled in a way that gives it a high-end, sophisticated feel. Side panels contribute to both looks, as they both flatter your figure and provide extra stretch so you can freely move on the slopes. The 10K waterproofing rating is perfect for most resort skiers and the quilted, ribbed fabric detailing adds texture and style. 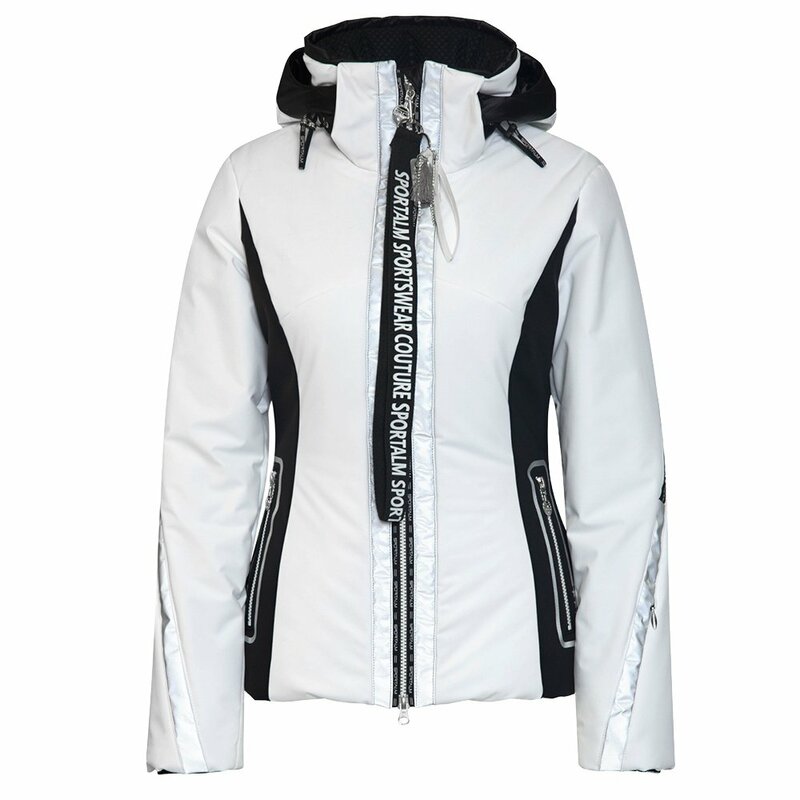 The Sportalm Palia Insulated Ski Jacket has a removable hood and plenty of useful interior and exterior pockets. "If I wear a 26 waist should I order the 34 or 36?" "Thank you for your inquiry. The recommend size jacket for a 26 waist is a 34. I would advise you to size up for comfort and layering purposes. We hope this information helps!"